Prof. Abdulaziz Al Hamid, Rector of PSAU stressed that the University seeks to support the interdependence and strategic alliances between them and the institutions of actors; through the conclusion of strategic agreements that benefit the parties, in order to achieve the vision of the Kingdom 2030. He added that such qualitative partnerships will be reflected positively at the level of graduates of the university, and quality and to provide them with knowledge and skills that sharpen their expertise and lead to products proud of the university, and contribute to the building of this country, and promote health care in the Kingdom. This came during the signing of a strategic partnership agreement between the University of Prince Sattam bin Abdul Aziz, represented by the Institute of Research and Advisory Services, and the second Health Assembly in Riyadh. For his part, Dr. Patel Al-Anzi, the undersecretary of the Institute of Research and Consulting Services, and the Director of the Convention said that this agreement, with its cooperation and coordination between the two parties, is of great importance in enhancing the partnership between the academic and health sides. Besides, investment of the University of Prince Sattam bin Abdul Aziz of potential and potential. 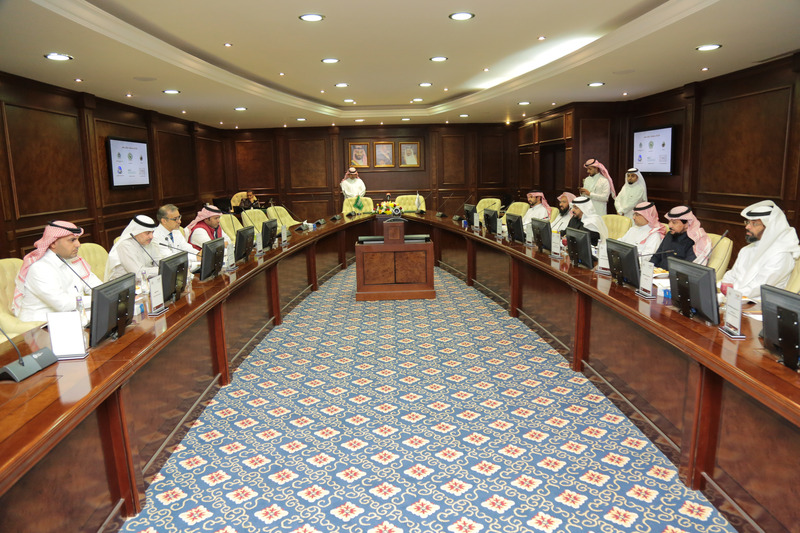 He pointed out that the agreement between the university and the second health community in Riyadh included many fields of education and training, the establishment of academic programs rehabilitation, expansion of existing programs, and the holding of seminars and joint scientific conferences. The agreement was signed on behalf of PSAU by Prof. Abdulaziz Al-Hamid, and by the Executive Director Dr. Mahmoud Al-Yamani on behalf of the assembly. The signage was in the presence of the Vice-Rectors and the deans of the Health Colleges.